Changing your password on a regular basis makes your account more secure. Also consider using a combination of UPPERCASE characters, special characters and numbers. 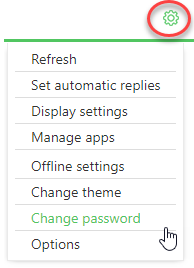 IMPORTANT: you can only change your password from your Webmail (OWA). 2- Click on the Gear Icon, on the top of the page, then click Change Password. 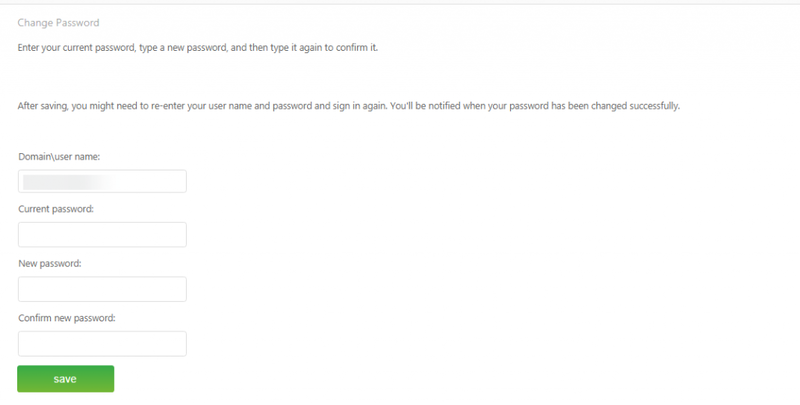 3- Enter your current password, type a new password, and then type it again to confirm it..
4- When you finish, click Save. NOTE: After saving, you might need to re-enter your user name and password and sign in again.